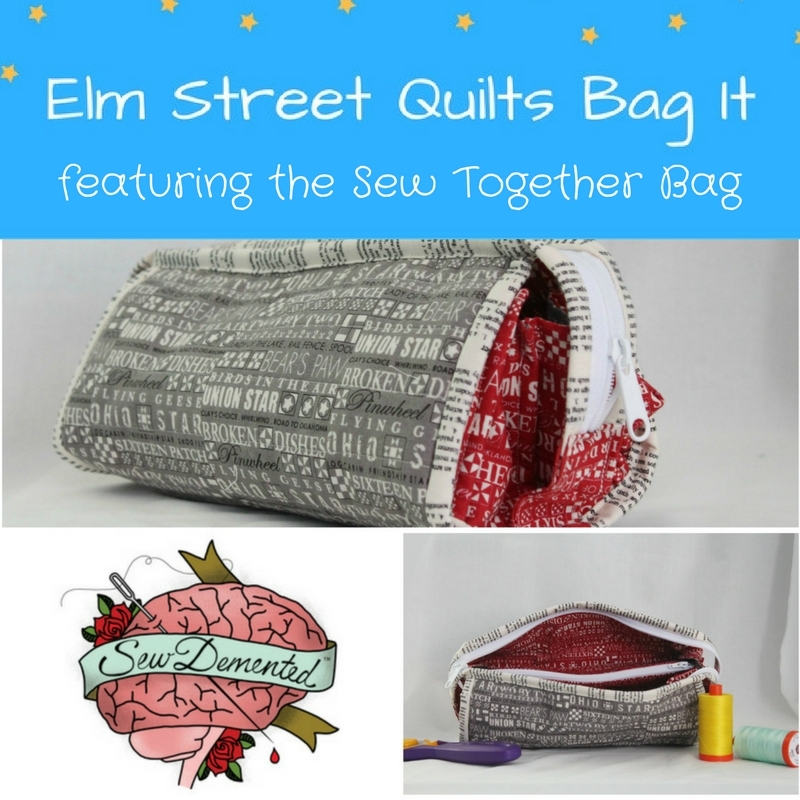 My guess is you've heard of the Sew Together Bag. Perhaps you already know how much fun it is to assemble and wonderful it is to use! I made my Sew Together Bag about a year ago and use it all the time. I keep all the supplies I will need when I take my sewing on the road. 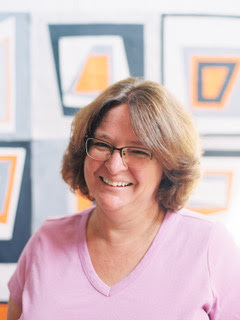 I am thrilled to introduce you to Michelle Tucker, designer of the Sew Together Bag and owner of SewDemented™. Besides the popular Sew Together Bag, Michelle has several other bag patterns available in her pattern store. Michelle shared a bit more about her company and the origin of it's name. It is very much worth the time to read it and I thank Michelle for sharing. The name SewDemented™ is a rather tongue and cheek description of a very hard time in my life and a tribute to the man I am trying to honor. As some have read from my blog and website, the name was derived from a flippant remark that I had made about what I would name a blog if I ever had one. I had just been laid off from a job in the industry that I really enjoyed and my father-in-law, who suffered from dementia, was just brought into our home because I found him wandering the street looking for someone he knew. He could no longer be trusted to stay in his home alone, and his caretaker (also a loose use of the word) had left him alone without telling us. We had no choice, no time to prepare. I was angry. Angry was a state I stayed in for some time. He was not an easy man, never had been, and it was worse with his dementia. My husband and I became the primary caretakers. My life was put on hold for the year and a half I cared for him. My days consisted of driving him to doctors, and sitting around watching him. He would become frightened if you were not in the room with him, dementia can be a very scary thing. Sewing was a thing of the past. I don't know if you have ever spending much time with a person who has a faulty memory, but after awhile you can begin to question your own memory. Stories becomes fuzzy, mixed together. I began to feel as if I had dementia! I know I didn't, but it FELT that way to me! After we had to move him into a nursing home because he required more physical care that I could give him, I began to tinker around with sewing again. My business was born out of that tinkering. I didn't intend to start a business, it just happened, and I have been immeasurably blessed by it. It has allowed me, an extremely private person, to have a voice in the world. 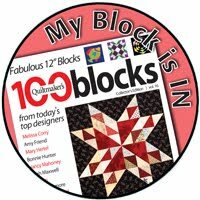 To tell my story of a hard man I learned to love much too late and hear many of the stores other quilters who suffer with and alongside others with dementia. Because of the name SewDemented™, I think of this man, and the lessons he taught me in the last two years of his life, every single day of my life. Cherish those around you and the memories you have today. I hope you'll go visit Michelle at SewDemented™ and on Instagram. Michelle has provided two prizes in support of the Bag It event. 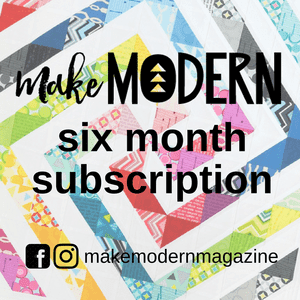 One lucky participant will win the Sew Together Bag pattern plus a fabric starter pack and another will win the pattern of their choice from her pattern store. When I made my Sew Together Bag, I made the bag over several days, taking it one step at a time. I found the posts associated with this sew-along to be quite helpful. 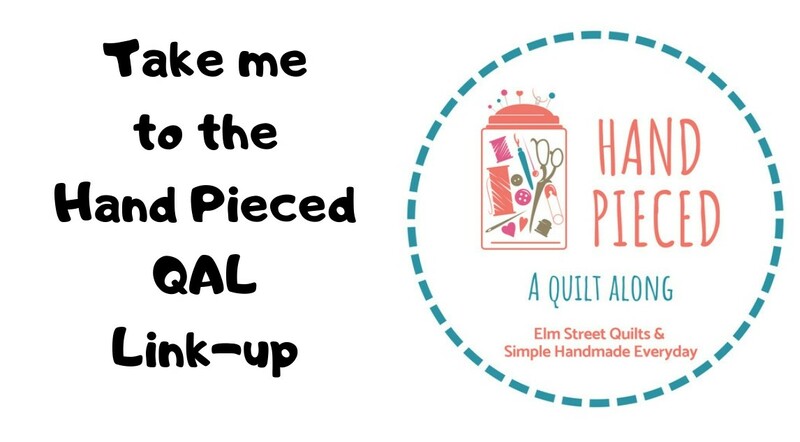 Need zippers for your Sew Together Bag? Check out this listing from ZipIt and use the code BAGIT2017 for extra savings. Find the Sew Together Bag pattern here or at your local quilt shop. I'm ready to make another one - the bag is perfect for organizing just about anything! 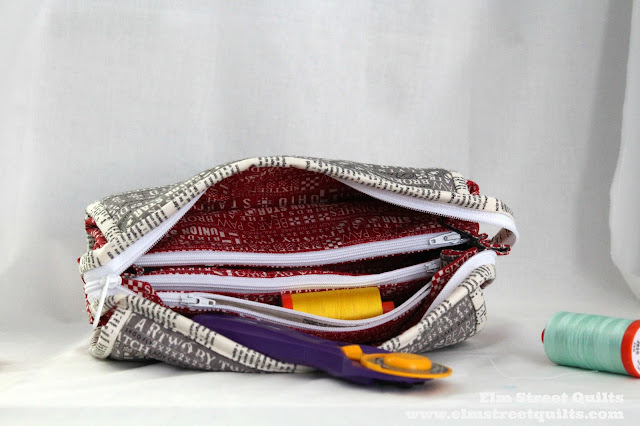 I'll be linking up my Sew Together Bag with Freemotion by the River, WIP Wednesday's, Let's Bee Social, Midweek Makers. Needle and Thread Thursdays, Finish it Up Friday and Finished or Not Friday. Love your bag, I've had that pattern for quite awhile, never have been brave enough to start :) I ordered a set of zippers, thanks for the code! Thanks for sharing the story. I always wondered where the blog name came from. I have made a Sew Together Bag. I love this bag and have made 6 of them in the past year. It went together much easier than one would expect. Great design. Your bag is fantastic. And, thanks Michelle for sharing your story with us. Quite a story! I have made three of these bags. Took it slowly, step by step, and enjoyed the process very much. They are so roomy, I lose things in them. Happened again just last night! I have had the pattern for a long time, but it scares me. This just may re-ignite my desire to make it! Thanks. Ive been wanting to make this bag for a long time! Thank you for sharing the story. I'd like to make this bag. Thanks for sharing about Michelle.